No matter how many times I do it, the first business meeting with someone still feels like a blind date. What should I wear? Will they like me? Are they meeting with me just because someone asked them to or are they serious? Are they going to lead me on and then dump me for a better date? What’s their agenda? Will our company be a good fit for them? Will their company be a good fit for us? On top of all of these usual worries, I was even more worried about my meeting with Susanne Woods, Acquisitions Editor, and Gailen Runge, Creative Director of C&T Publishing last October at the International Quilt Market in Houston. I was beyond sick. I had a massive respiratory infection and was pumped full of steroids, antibiotics, antihistamines and decongestants so I could appear to breathe normally and wouldn’t be blowing my nose all over people. In truth the drugs made me very disoriented and shaky and I hadn’t slept in days. I was constantly drinking out of a water bottle to alleviate the cotton- mouth feeling. I was a wreck. My doctor had asked if there was any way I could reschedule the trip but I had a series of meetings lined up and I had committed to teaching workshops as well. Everything was in my name so Bill couldn’t go in my place. I kept thinking that I’d get better but I didn’t. So it was under these lousy conditions that I first met with the folks from C&T. Neither Bill nor I were convinced that we were the right fit for them because we thought that their audience was more traditional than we are, but I thought it would be smart to meet with them and listen to what they had to say. So I shoved numerous packs of tissues in my bag, yet another bottle of water and went to meet them. At this point I’m inviting Susanne into the conversation and she’ll tell you her side of how we came to work on our upcoming book to be published in 2010 with C&T. W: OK Susanne. Give it to me straight. Could you tell that I was having bad reactions to those decongestants at that first meeting and that I hadn’t slept in days because of the medications? I’m thinking that I must have been somewhat lucid because by the time I got home you sent me that enthusiastic “awaiting your proposal” email. I was trying so hard to project the energy I had for the next book, when I physically had none. S: I would never have known that you were feeling so rough! You were, as always, a total professional. Every Market I come home with a handful of ‘potentials’ I am interested in and only one or two that I am truly excited about. When we met, it was my first Market, having only joined the company three weeks before, but I knew before I even started that I wanted you and Bill on our list! W: So I was kind of surprised that C&T was interested in working with us given that a lot of your titles have been more traditional. Where do you see our book fitting into the vision for C&T in the coming years? S: I have an active acquisitions approach in that I target potential authors I would like to see on our list. While the whole process of acquiring a book is a collaborative one at C&T, the list always begins with the vision of the acquiring editors. I am proud and honored to be at C&T as I think we publish the best of the best from within the quilting world. It is my goal to retain all that quality but broaden the net over the upcoming seasons. You will be seeing some fresher faces, trends, and techniques from C&T. Your style is definitely not traditional, but I think you and Bill are the producing some of the best modern quilts being designed today. 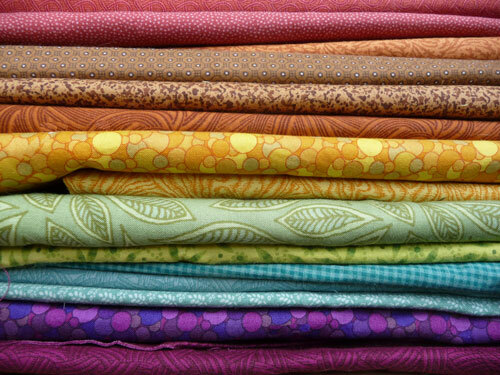 So, short answer: If you are designing the best quilts out there, I want you on our list! W: I really appreciated your willingness to discuss a few different directions we could go with the book. Is it common for authors to have one proposal in mind or several from which you choose most marketable? S: Most first-time authors start out with one concept that they are passionate about and that they excel within. As it takes about a year to go from finished manuscript to finished book, most professional artists will have progressed and be excited about the next amazing thing that they are working on. Art is not static, so when an artist is of the caliber of you and Bill, there are often many avenues of interest and it then becomes a balance between what is the most interesting to the author and the most marketable at that time. W: I have to tell you that we couldn’t wait to get going on this book. Both Bill and I turn into total book-planning geeks. We get out all of our sketchbooks and those little scraps of paper that we’ve jotted ideas on while waiting for our daughter’s choir practice to end. We develop an Excel spreadsheet in which we put all of the quilts that we’re considering for inclusion in the book. 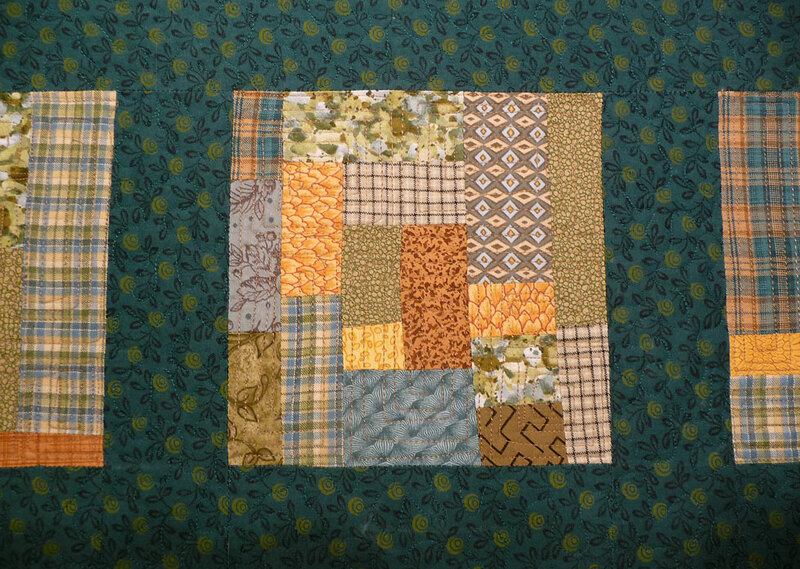 Then we figure out which quilts would show which technique, which quilt would be which size and color and which would be suitable for which level of quilter and which type of fabric. Then there’s a color planning board onto which we glue swatches of the fabrics for each of the quilts we’re considering so we can see how the colors will look when you’re flipping from page to page. Did I mention the location scouting? We go around scouting cool interiors in which we could photograph the quilts to bring them to life. Then there’s the four-month-wide wall calendar in which we plan who’s making what when and how we’re going to meet all of our other deadlines so we don’t end up with a bottleneck of production. We get so excited putting together all of the pieces even before we start actually writing and making the quilts, which are even more fun. Which part of the process do you love the most? S: I love that our authors often send me photos of what they are working on for the book once they are really in process. As I just do the acquiring then pass the project one of our talented editors who sees the manuscript through the actual publishing process once the contract is done, I love that authors send me photos of their progress so that I can keep in touch with the process. I fall in love with the idea so one of my greatest joys is seeing the book that I acquired take form into the book I had hoped it would be. W: We really didn’t want to do a totally predictable book. I think readers are going to be surprised to see some modern handwork, some traditional fabrics used in a modern way and even some appliqué from us. 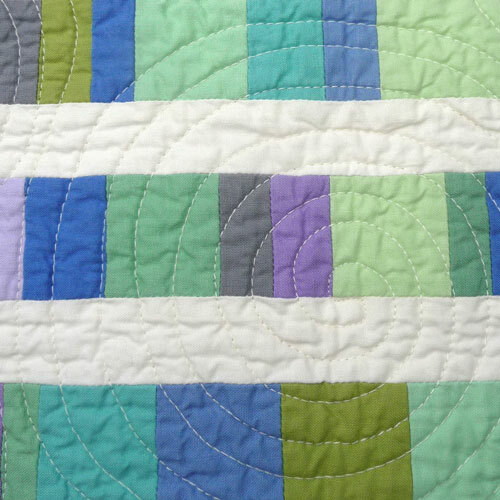 Although I know some people like to focus on one technique throughout their quilting careers, we always want to be trying something new. I always want the reader to think, “Wow! I’ve never thought about that fabric or that technique in that way!” What’s your take? What do you think is going to surprise readers the most? S: Well, that question just makes me smile. It’s the most difficult part of my job in knowing what is sharing too much. Your use of color is what I think lends the greatest originality and surprise to your work. That, and your out-of-this-world quilting. Congrats!! Looking forward to working with you! This is so exciting! I can’t wait to add your new book to my collection. I have been reading Susanne Woods series on book publishing and have found it very informative. ← wheezy rider wants to ride for you!